THIS IS A BLOG DEDICATED TO THE FIELD OF PHARMACEUTICALS, WELLNESS AND HEALTHCARE. FOR INSIGHTS AND IDEAS THIS IS YOUR SITE! I got the above image from here. MNCs are back in action! LPG (liberalization, privatization and globalization) has paved the way for MNCs to get back in to the Indian pharma market with a bang. Pfizer, an American headquartered MNC, has the topmost brand in the Indian pharma market, ie., Corex (the codeine based anticough oral liquid formulation). This brand is followed by Phensydyl (another codeine phosphate anticough oral liquid formulation) - a brand owned by Piramal Healthcare. Today, this brand too will be owned by another American pharma company - Abbott, a Illinois (USA) based MNC pharma company, which has purchased the Piramal Healthcare generic formulation business, by paying a hefty sum of 3.2 billion USD (ie., Rs. 17000 crores). MNCs are back and shopping for pharma companies with big shopping budgets! With the acquisition of Phensydyl by Abbott along with the company it is purchasing (ie., Piramal Healthcare Solutions), both the codeine phosphate oral liquid anticough brands (ie., Corex and Phensydyl) with very high addictive potential, will be owned by American MNCs. What a coincidence, wonder what the karmic linkage is!! 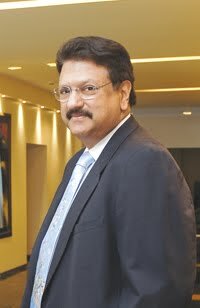 Ajay Piramal, Chairman of Piramal Healthcare, has got an unbeatable offer for his branded generic biz. The monies paid to him are 9 times the 2010 sales of Piramal Healthcare branded generic sales, 30 times the EBITDA (earnings before interest, tax, and depreciation) and Mr. Piramal loses only one manufacturing unit at Baddi (Himachal Pradesh) to Abbott. Piramal Healthcare is a big pick for Abbott, Piramal Healthcare has a stunning 44% CAGR in market cap, (Piramal Healthcare's valuation has grown from Rs. 6 crores to Rs. 17000 crores in 22 years! ), and as a standalone entity, it is in shooting distance of being the topmost pharma company in India (Cipla is India's topmost pharma firm - now, with Piramal being taken over by Abbott, this American MNC Abbott + Piramal combination is the topmost pharma firm of Indian pharma market) . Abbott, thanks to Piramal Healthcare, is now the topmost (#1) pharma entity in India with 7% market share. Pharma companies in India are now getting fancy valuations, because MNC companies want to enter and play big in the Indian pharma market. BRIC countries are on the radar of MNCs. Ajay has chosen the moment to triumph. He is flush with Rs. 12000 crores cash to reinvest anywhere else (this money is after removing payments as capital gains tax and monies used for retiring debt). Abbott, in return, has reached the topmost perch in the Indian pharma market, it also has 350 brands from Piramal Healthcare, and 5000 odd field personnel from Piramal Healthcare - all thanks to Ajay Piramal! The field personnel from Piramal Healthcare are highly trained, aggressive, and a motivated lot. Piramal Healthcare has a great image in the field including with stockists and pharmacies. Piramal Healthcare has always been viewed as a very professional and aggressive firm. The brands from Piramal Healthcare enjoy a great market penetration. So in that sense, Abbott is very lucky to pick Piramal. It is thanks to Piramal, Abbott has achieved what it could not have imagined to achieve. There will be integration challenges in this acquisition. Indian pharma firms are known to be aggressive in giving gifts and sponsorships to doctors, and retail bonus offers to chemists. Abbott has been traditionally in the ethical pharma space without giving much freebies. Thus, the brand values of Piramal Healthcare's generic brands are due to these marketing activities, which Abbott will not indulge in, due to its code of marketing conduct. So how will Abbott maintain the marketing tempo? The field personnel of Piramal Healthcare are used to the typical Indian style of pharma product promotion, how will they manage the marketing cultural shock when being integrated in to Abbott? Will Abbott maintain the brand sales without using the marketing strategies and tactics of Piramal Healthcare?! HAS ABBOTT CONSIDERED THESE MARKETING CULTURAL ASPECTS WHILE BUYING PIRAMAL HEALTHCARE? These are very interesting and challenging marketing questions. THE PROGNOSIS OF THE PIRAMAL HEALTHCARE BRANDED GENERIC BIZ ACQUISITION BY ABBOTT WILL MAKE A VERY INTERESTING CASE STUDY. While it is easy to assess the financial picture and make the purchase, Abbott will find it more difficult to maintain the marketing tempo, because of the cultural dichotomy between Piramal Healthcare and Abbott. The great Indian pharma melting pot! Two of the largest Indian pharma companies are lost to MNCs: Ranbaxy to Japanese Daiichi Sankyo, and Piramal Healthcare Solutions to the American company Abbott. Thus, we have European companies, Japanese companies, American companies and Indian companies in the Indian pharma marketplace. Truly, the Indian pharma market is a great melting pot! Companies of diverse nationalities are pouring in to this pot! Torrent, Mankind, DRL, Cipla - which company next - on the shopping list of MNCs?! Let us wait and watch! MNCs and biopharma: MNCs score over Indian pharma companies on the biopharma and research platform. Abbott has a no. of biopharma products and one can expect they will launch the same with gusto thanks to their enhanced field presence through acquisition of Piramal Healthcare Solutions. Abbott has done that which, Pfizer has not done! Abbott (not Pfizer) is India's biggest pharma entity (company)! As a global strategy, MNCs are looking to increasing the geographic reach, as it is besieged with lack on new products including absence of new blockbusters. By expanding presence in more markets, MNCs can improves sales outcomes. A NEW ERA BEGAN, IN INDIAN PHARMA, IN 2008, WHEN RANBAXY WAS PURCHASED BY DAIICHI SANKYO. Now with the acquisition of Piramal Healthcare Solutions's 350 branded generics by Abbott, the pharma game gets more and more interesting! Thanks for reading this blogpost, let us hope for the best, do recommend this blog to your colleagues. nice blog !! i was looking for blogs related of franchisee of veterinary companies . then i found this blog, this is really nice and interested to read. PHARMACEUTICALS AND HEALTHCARE is a blog with a vision to strengthen healthcare, pharmaceuticals and wellness. The mission of the blog PHARMACEUTICALS AND HEALTHCARE is to contribute to the demystification of pharmaceuticals, health and wellness through diffusion of knowledge, ideas and insights to netizens of Pharma and non Pharma community. I am a pharma marketing professional: with B Pharma from JSS College of Pharmacy, Mysore and I have done my M Pharma (1992) from Govt. College of Pharmacy, Bangalore (after passing GATE 1990). I have also done my PGDMM (Post Graduate Dip in Marketing Management) in 1998 (& UPGRADED IT TO MBA (MARKETING) IN DEC 2014) and PGDHRM (Post Graduate Dip in Human Resource Management) in 2011; both from IGNOU (Indira Gandhi National Open University), New Delhi, after passing INDOMAT entrance exam. My qualifications are B Pharma, M Pharma (Pharmacology), MBA (Marketing) and PGDHRM. I like writing (my professional articles have been published in Chronicle Phamabiz, Express Pharma Pulse etc), training, marketing and management science - besides healthcare and pharmaceuticals. I work in Pharma marketing.